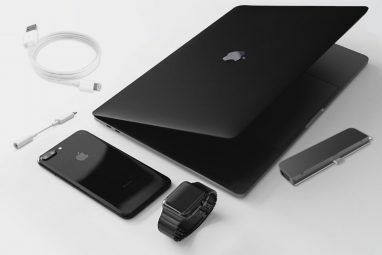 Every year, Apple holds its Worldwide Developers Conference (WWDC) in San Francisco, where the company defines its software roadmap for the year to come. 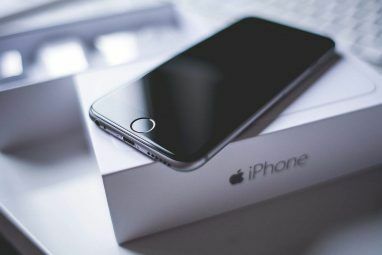 Apple sells more iPhones than any other product and delivers its updates free of charge usually at the end of September. If you didn’t see the announcement, or you’re only interested in the important bits, here’s what you missed. While this wasn’t mentioned by Apple, users running the beta are reporting it’s possible to delete stock apps in the iOS 10 beta, and a bunch of Apple’s own apps have appeared on the App Store, which seems to corroborate this. Some of the apps users can remove include: Calendar, Weather, Maps, Videos, Notes, Reminders, Stocks, iTunes Store, Home, FaceTime, Tips, Calculator, and more. It’s always possible that Apple will reverse their decision, but it’s also something users have been wanting for a while. In addition to allowing you to customize your iPhone more than ever before, this would allow users struggling for space to delete the apps they never use. Whether or not you can “replace” a stock app like Mail iOS Mail.app Tips & Tricks for Emailing Like a Pro on Your iPhone iOS Mail.app Tips & Tricks for Emailing Like a Pro on Your iPhone Despite first appearances, Mail for iOS is much more powerful than it used to be. Read More with a third party app like CloudMagic 8 Worthy Alternatives To The iPad’s Native Mail App 8 Worthy Alternatives To The iPad’s Native Mail App The iPad’s native Mail app isn’t for everyone, so here are some alternatives that you may prefer. Read More and have it act as a default is not clear yet. If this is included in the final release sometime this fall, it’s just another example of the company listening to users Why The iPad Pro Isn't Just A Bigger iPad Why The iPad Pro Isn't Just A Bigger iPad If you think the new iPad Pro is "just a bigger iPad", you're wrong. It's a new way of iPad-ing. Read More and providing the features they want to see. While it might not sound like a big deal on the surface, Apple announced the arrival of the SiriKit API for developers. This means third party apps will be able to take advantage of third-party apps in the same way first-party apps do. So while it’s not a big deal right now, by the time some of your favorite app developers get their hands dirty, you’ll be able to do things like order an Uber to your location by shouting at your phone, control Spotify or other streaming services in a similar manner to Apple Music 9 Tips for a Better Apple Music Experience on iOS & OS X 9 Tips for a Better Apple Music Experience on iOS & OS X There's a lot Apple doesn't tell you about Apple Music. Here are some of the best tricks for making the most of your tunes. Read More , dictate notes straight to your preferred note-taking app rather than Apple Notes Should You Be Using Apple's Notes for iOS and OS X? Should You Be Using Apple's Notes for iOS and OS X? For the first time since its release, Apple Notes for both OS X and iOS may be worth considering. Read More , and even send WhatsApp or Facebook messages using the smart assistant. As the feature depends on third-party developers, you’ll have to wait for them to implement the technology first — but Apple just provided the toolbox that makes it possible. Probably the biggest list of changes in iOS 10 belongs to the Messages app, which, though functional, hasn’t evolved all that much over the last few revisions. Users can now use emotive message bubbles that “shout” or “whisper” and canned animations for things like “Happy Birthday” that display over the whole screen. You can even add markup, like bold and italic to your messages. Like many other messaging apps, rich text inking has been added, which allows you to send messages in your handwriting, or scrawl badly illustrated pictures to contacts. These handwritten notes will be animated on receipt, so it’s just like you’re writing (or drawing) on the screen. The use of end-to-end encryption already makes iMessage a relatively secure platform 6 Secure iOS Messaging Apps That Take Privacy Very Seriously 6 Secure iOS Messaging Apps That Take Privacy Very Seriously Don't fancy your messages being read by unwanted parties? Get a secure messaging app and worry no more. Read More , and now Apple has added a feature called Invisible Ink to better protect privacy too. It allows you to send messages or photos that are pixelated until the recipient swipes them. Links you receive will now be displayed in-line, so you don’t have to leave Messages to play a YouTube video or Apple Music songs. You can also respond to anything with a quick in-line response, which allows you to “like” a message with a thumbs-up or add a “ha ha” instead of typing lol. In addition to being three-times larger than they currently are, emoji can now replace words with a simple tap. Messages can highlight certain words that match a particular emoji, and tapping on them will convert them to a symbol. Developing the theme further, Facebook-style stickers have been included and can be plastered on your message bubbles (no word on premium sticker packs yet). Finally, you can also access apps within messages, which allows you to do neat things like share app content (think notes, locations, contacts) without having to leave your conversation. Apple says you can even make payments this way, and who knows what else developers will add? iOS 10 includes a brand new lock screen, which includes a more condensed time and date view to allow your notifications to shine and take up most of the screen. You can now access the camera a lot quicker by sliding to the right, or slide to the left to access your widgets (the ones you currently see on iOS 9’s Today screen). Sick of pressing the home button to wake your device, only to have TouchID automatically unlock and bypass your notifications? A new Raise to Wake feature means you only need to pick your phone up to wake it and display your notifications. Notifications now look cleaner (which is a bit of a theme with this release) and can also update in real-time, so you can see exactly where your Uber is. You can also respond to notifications with a squeeze of 3D Touch Everything You Can Do With 3D Touch on Your iPhone Everything You Can Do With 3D Touch on Your iPhone 3D touch is really just a fancy name for a pressure-sensitive screen, but adds a whole array of extra input options to iOS. Read More , which makes notifications much more interactive. Peek at photos or entire message threads without unlocking your phone, though how this will work on non-3D-Touch devices remains to be seen (a long-press, maybe). Apple Music was previously a streaming service shoe-horned into the old iOS 8 Music app, but all that’s about to change. The interface has been updated, and music you’ve downloaded is no longer hidden in an obscure menu. There’s a lot of white space, and album art is larger, but it’s likely we’ll see tweaks between now and the final release anyway. Apple Music Connect takes a back seat, while the For You tab gets more frequently updated suggested playlists (once a day), a Discovery mix, and all your recently played tracks. The first tab you’ll now see is Library, providing fast-access to your collection. What many of us really want is performance improvements, easier ways to populate our collection, and a generally more pleasant experience. Hopefully the update goes some way toward improving usability too. Apple Maps has come a long way over the years Use Your iPhone to Find Nearby Food, Transport & Services Use Your iPhone to Find Nearby Food, Transport & Services In iOS 9, Apple made some big improvements to its Maps app — but how do these stack up against the big names in the map and discovery scene? Read More , and though it still lags behind Google in many respects, it’s good to see the company is dedicated to improving the experience over the longterm. In iOS 10, this takes the form of an improved search functionality, which includes listings for new points of interests like gas stations. The Maps app can now predict where you want to go based on your routine, calendar appointments, and current location, and traffic conditions will now prompt the app to change your route in the interest of avoiding traffic jams. You can also move around while navigating, pinch to zoom, and even search for points of interest along your route. The interface has been tweaked with the addition of what Apple calls Quick Controls, which change based on what you’re doing. In addition to traffic conditions, Maps can also help you avoid toll roads too. And just like Siri, maps is now open to developers — so you can do things like book a table or order a ride within the app, but you’ll have to wait for third-party developers to implement the feature. In China, Apple has even added an air quality meter (the irony of China’s role as Apple’s country of choice for iPhone production shouldn’t be overlooked). Photos adds Google Photos-style sorting Get Free Unlimited Photo Storage & More with Google Photos Get Free Unlimited Photo Storage & More with Google Photos If you aren't using these hidden Google Photos features, you're really missing out. (Hint: There's free and unlimited photo storage!) Read More , but the key difference is that Apple’s processing takes place directly on your device rather than in the cloud. The new tech can identify objects, places, people, and more, and it allows you to sort and search your pictures by these criteria. A lick of paint makes your photos look better, and a better Auto Enhance feature should help too. The camera itself gets a new interface on the iPad, and stabilization and filters have been added to Live Photos too. Like many other iOS 10 apps, News is getting a makeover, including a new tabbed design that takes its cues from Apple Music. A “For You” tab breaks up stories into sections like Trending and subjects like Sport, which provides some much-needed order to the news aggregator introduced with iOS 9. Also new is the ability to subscribe to a particular news source, which means you’ll never miss a post. This is something that has been missing since Newsstand was retired with the last major iOS release. A new Featured News section provides curated stories direct from Apple, so there’s always something to read. And lastly, the app now includes breaking news alerts via push notifications (because you probably don’t get enough of those Take Control of iOS Notifications on Your iPhone or iPad Take Control of iOS Notifications on Your iPhone or iPad Your iPhone can notify you about just about anything, but left unchecked, this feature can quickly get out of control. Here's how to make notifications useful again. Read More ). One of the biggest areas of improvements that’s truly worthy of your attention comes with your iPhone’s most basic feature. The Phone app has added a new voice-over-IP (VoIP) API that allows apps that use VoIP to behave like a real phone call rather than appearing as an easy-to-miss notification. The feature should allow apps like WhatsApp, Viber, Skype, and so on to appear on the lock screen, complete with a “slide to answer” bar and everything. Improvements to FaceTime mean less time waiting for a call to connect, and iOS will now also start screening your calls for spam, which should help you avoid scammers Cold Calling Computer Technicians: Don't Fall for a Scam Like This [Scam Alert!] Cold Calling Computer Technicians: Don't Fall for a Scam Like This [Scam Alert!] You've probably heard the term "don't scam a scammer" but I've always been fond of "don't scam a tech writer" myself. I'm not saying we're infallible, but if your scam involves the Internet, a Windows... Read More and telemarketers. For those of you who hate voicemail, a new voicemail transcription feature converts audio messages into text, so you can read them in noisy environments or choose to reply by text message instead. As with any iOS release, there are many smaller changes that Apple didn’t have a chance to mention on stage, and a few that just aren’t as interesting as those above. Among them is QuickType suggestions, allowing text prediction to do things like answer where you are or provide phone numbers for known contacts with a tap. Apple’s connected-device API HomeKit Future Proofing Your Smart Home for Apple HomeKit Compatibility Future Proofing Your Smart Home for Apple HomeKit Compatibility Read More gets its own stock app called Home, which allows you to control all of your HomeKit devices from one interface. And of course, there’s a bunch of pretty new wallpapers which iDownload Blog has already pinched and put online for you to enjoy. Just like iOS 9 and previous releases before it, a lot of work will have gone into iOS 10 under the hood too. Can Your Device Run It? While Apple’s own Preview page states that the original iPad mini and fifth generation iPod Touch are also compatible, that wasn’t what the company announced on stage. Even so, it’s a pretty impressive list of compatible devices, just remember that performance may suffer on older devices. iOS 10 marks the first time the iPhone 4s and third generation iPad aren’t supported — devices that were released in 2011 and 2012 respectively. 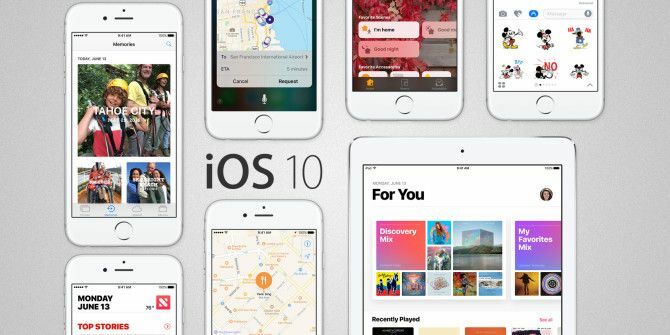 The iOS 10 beta has been released to developers, but you’ll want to be careful installing it on devices that aren’t registered with an Apple Developer account. These earlier builds can be really buggy, and core functionality can suffer, so I wouldn’t recommend installing it on your main iPhone. Instead, you can sign up for the iOS Preview, which gives anyone with a compatible device the opportunity to download a preview build at a later stage. 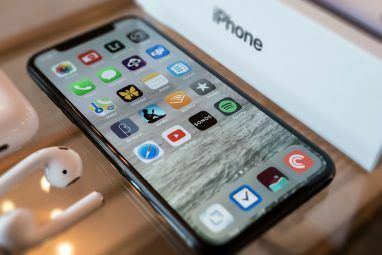 If you don’t fancy being a beta tester, you’ll have to wait till the fall — usually around the very end of September, when new iPhones arrive — to try it out for yourself. What do you think of the upcoming changes in iOS 10? Explore more about: Apple, Apple Maps, Apple Music, iOS, iPad, iPhone. The year Apple integrated Google Now sans Google and most of Android 4.3-6.0.